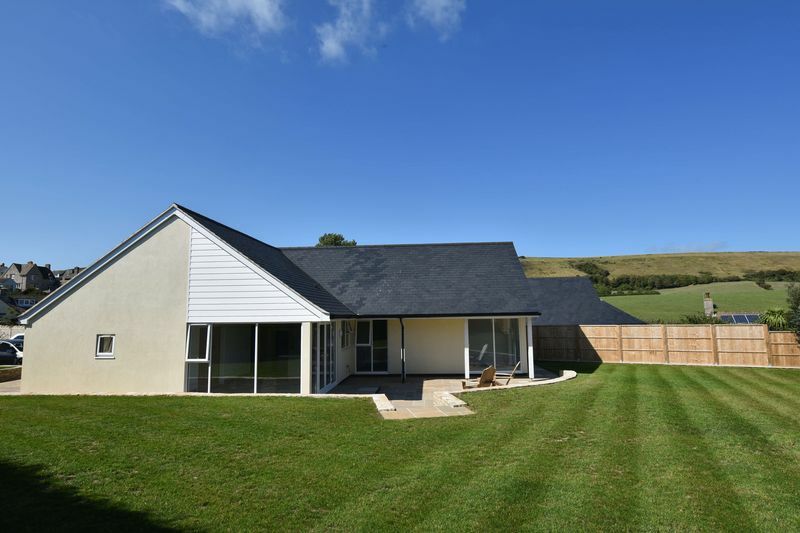 A NEWLY BUILT BEAUTIFULLY APPOINTED 4 BEDROOM DETACHED BUNGALOW SET ON A LARGE PLOT ON THE FRINGE OF THE BALLARD ESTATE, ENJOYING FINE VIEWS OVER THE PURBECKS. 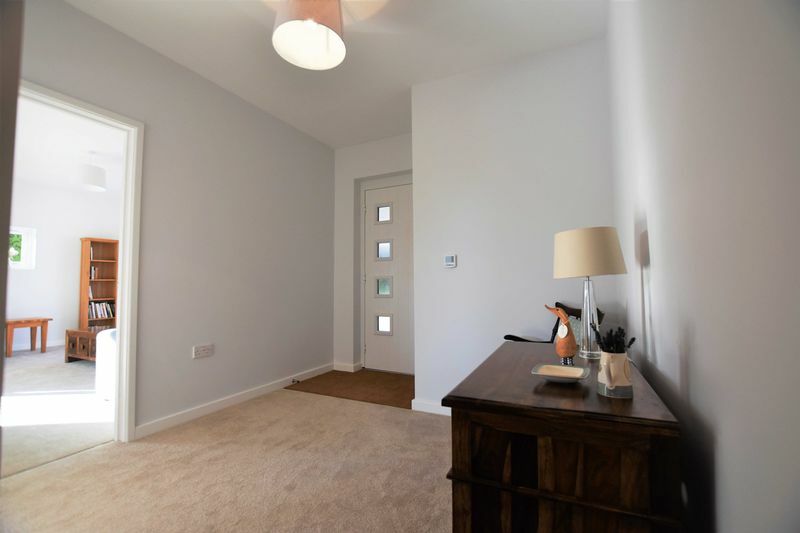 We are delighted to present a rare opportunity to acquire a particularly spacious well-appointed new bungalow, forming part of a small quality development on the fringe of the Ballard Estate. 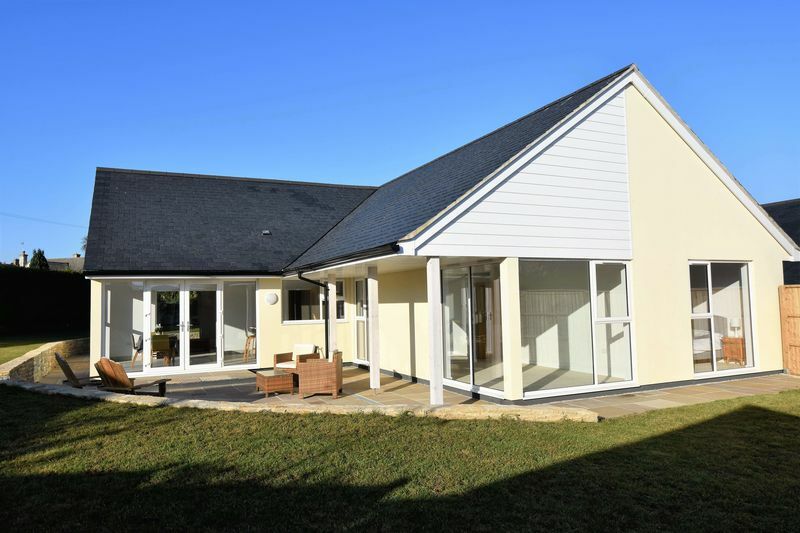 From a large covered Porchway, access is made to the Entrance Hall which continues throughout the property leading to all principal rooms. 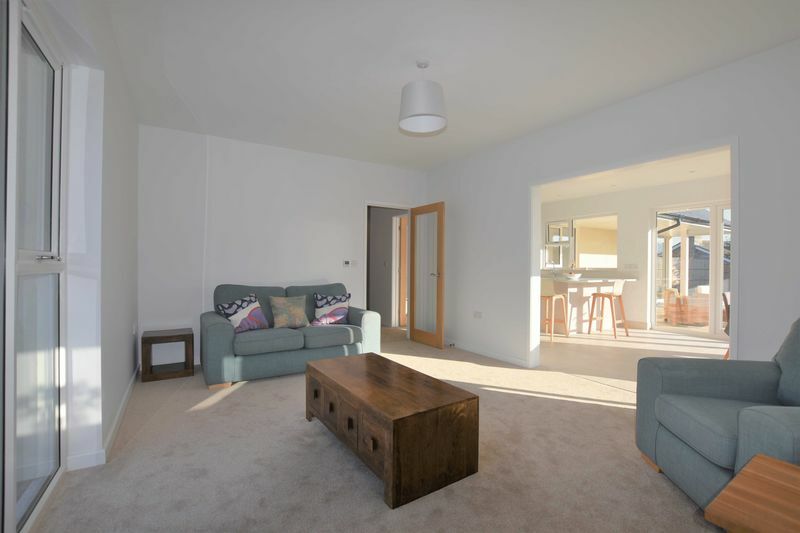 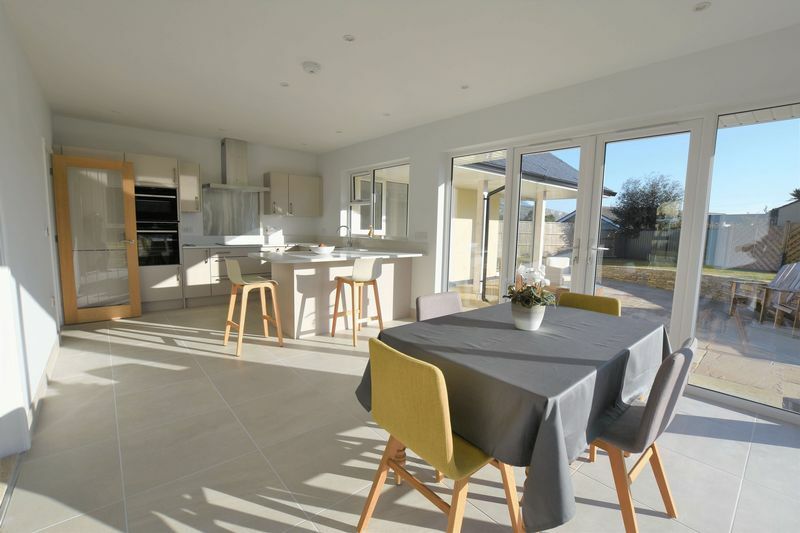 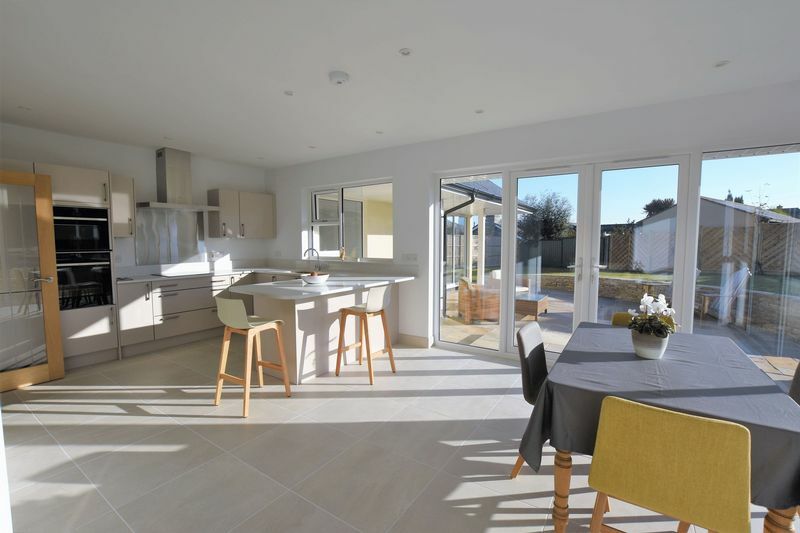 Overlooking the front, there is a bright and airy Sitting Room which leads into the outstanding well-appointed Kitchen/Dining Room which features a full range of integrated quality appliances, quartz granite work surfaces together with a peninsular bar. 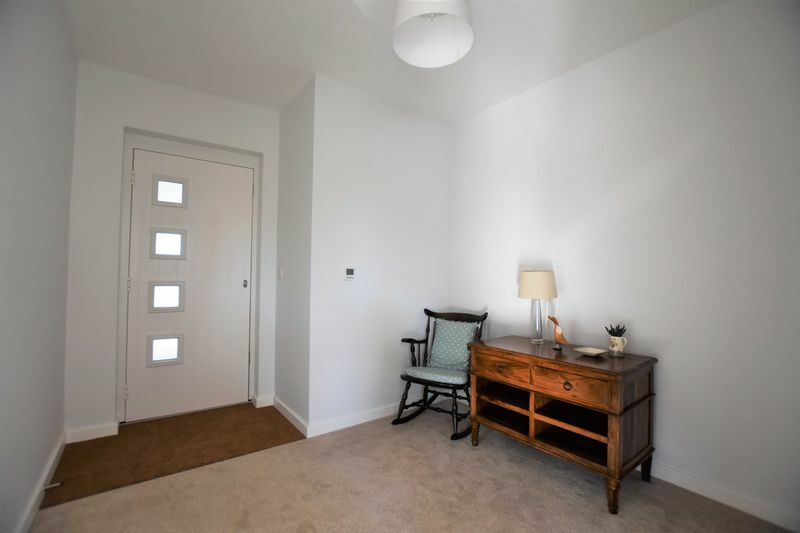 There is a beautiful tiled floor and picture windows overlooking the large Garden together with French doors to the south facing Terrace. 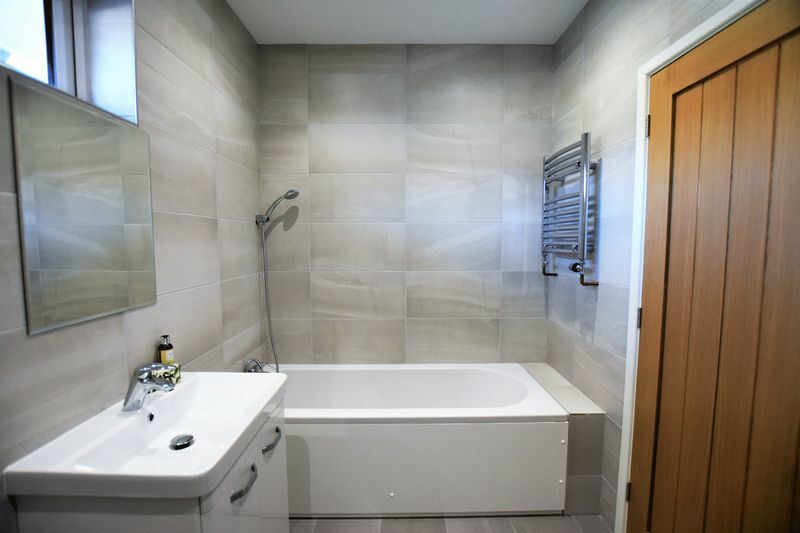 There is a useful Utility Area where one will find the wall mounted gas boiler and from here, an internal door leads to the large integral Double Garage which has twin electric up and over doors. 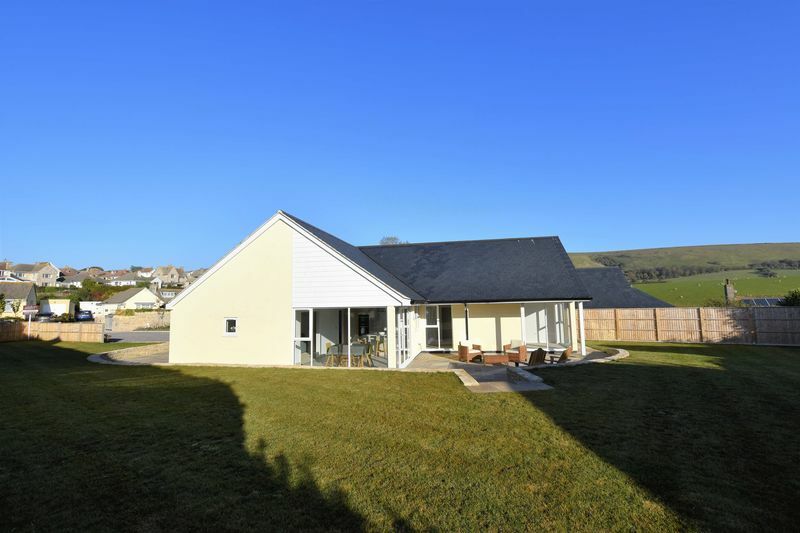 The Master Bedroom is located to the rear of the bungalow and there is a built in wardrobe, together with beautifully appointed En Suite Shower Room. 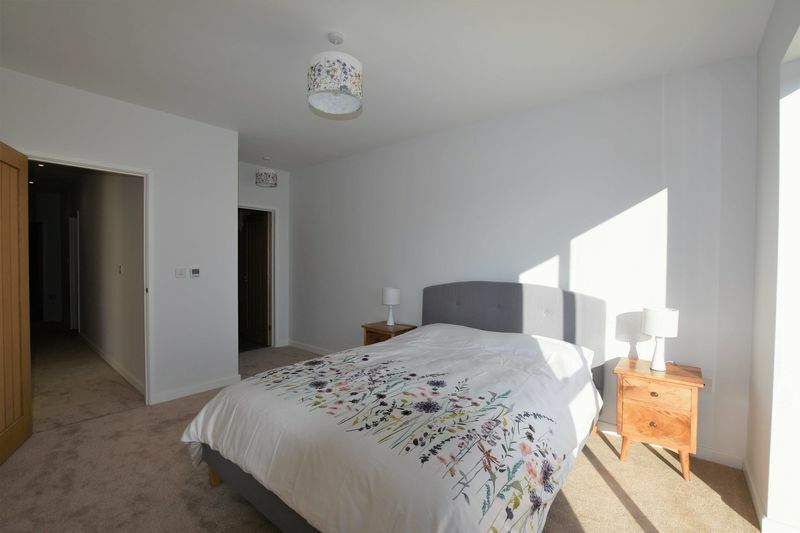 Adjacent to the master bedroom is Guest Bedroom 2 which has a built in double wardrobe together with picture windows overlooking the garden and terrace. 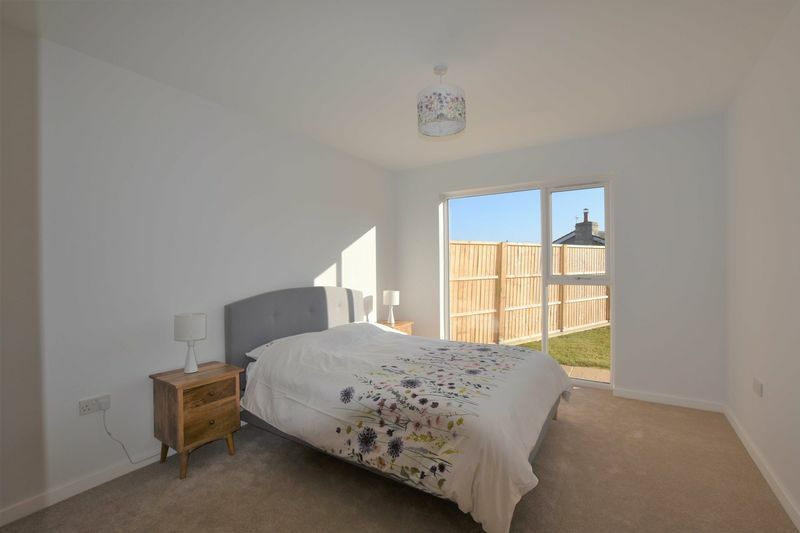 Bedroom 3 also has a built in wardrobe and overlooks the garden. 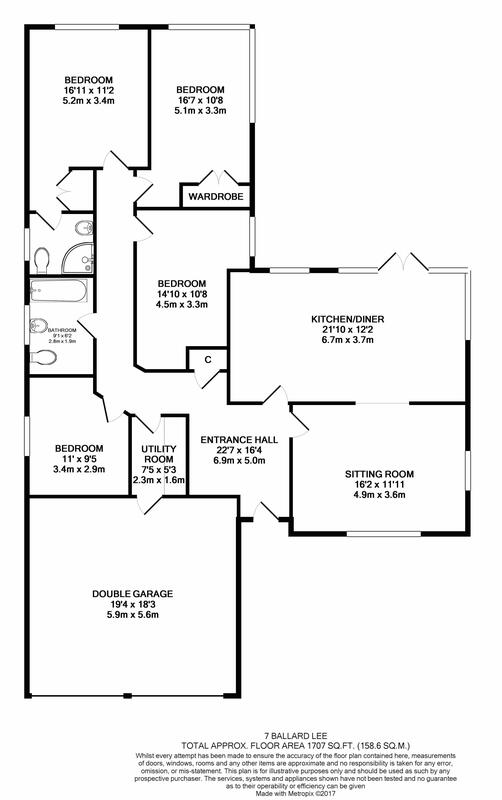 There is an additional bedroom or office if so desired. 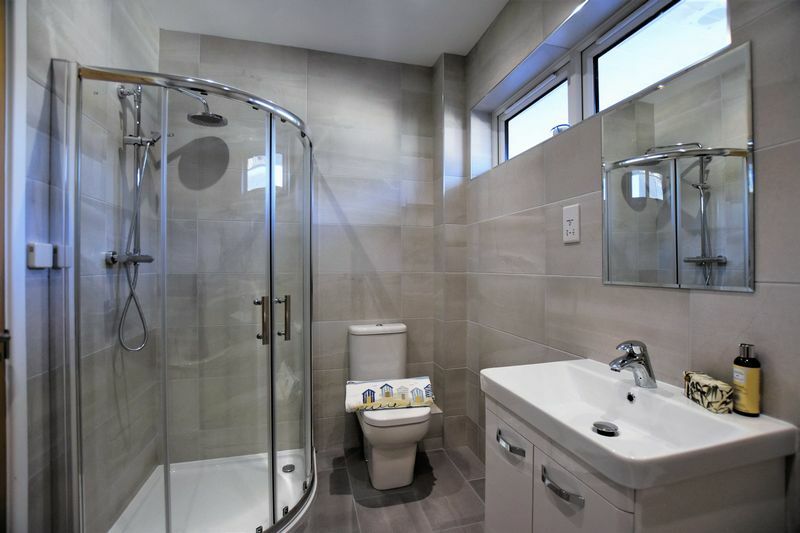 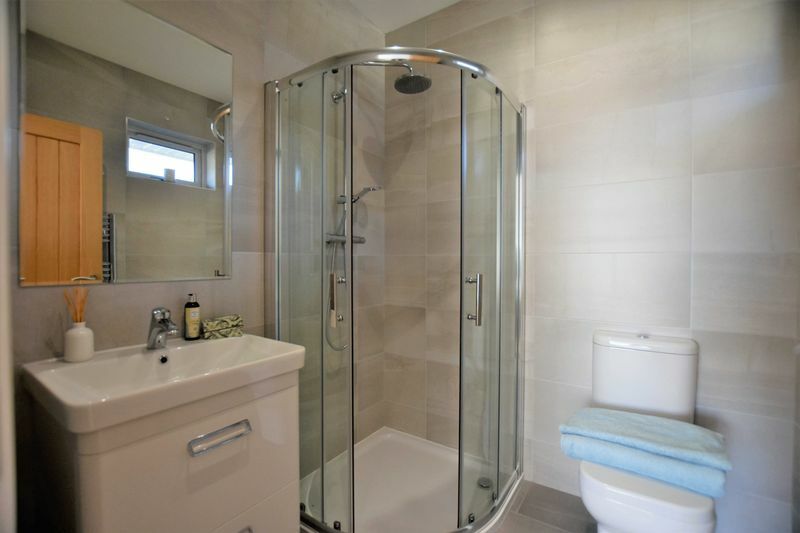 The accommodation is completed with another beautifully appointed Family Bathroom with the benefit of a separate semi-circular shower. 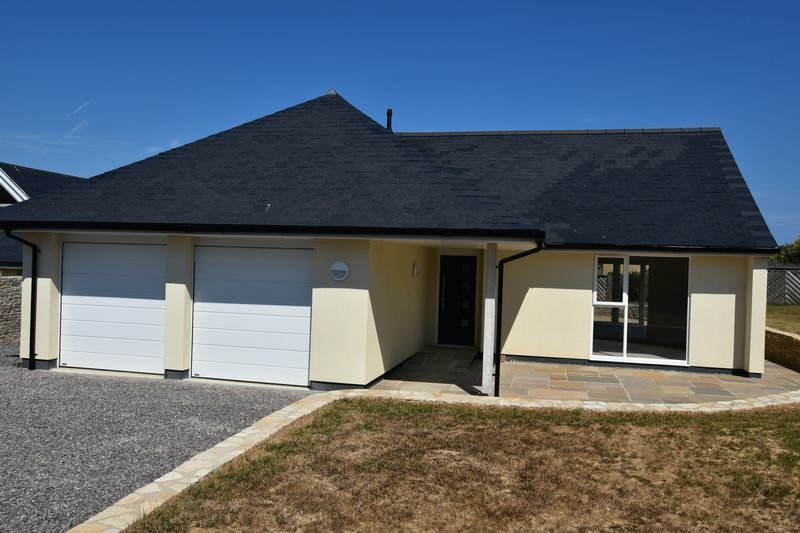 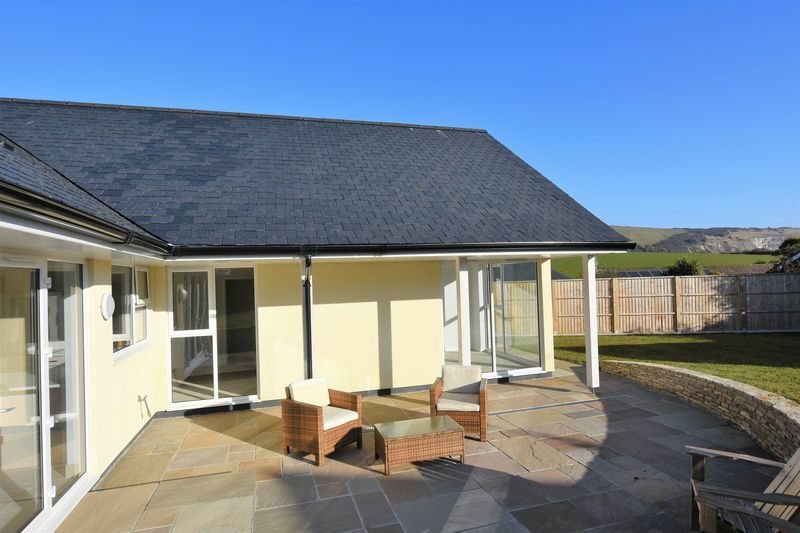 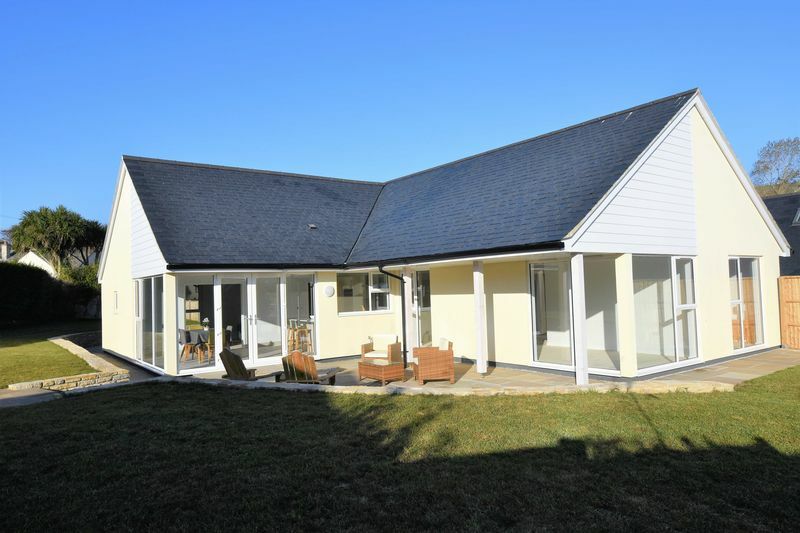 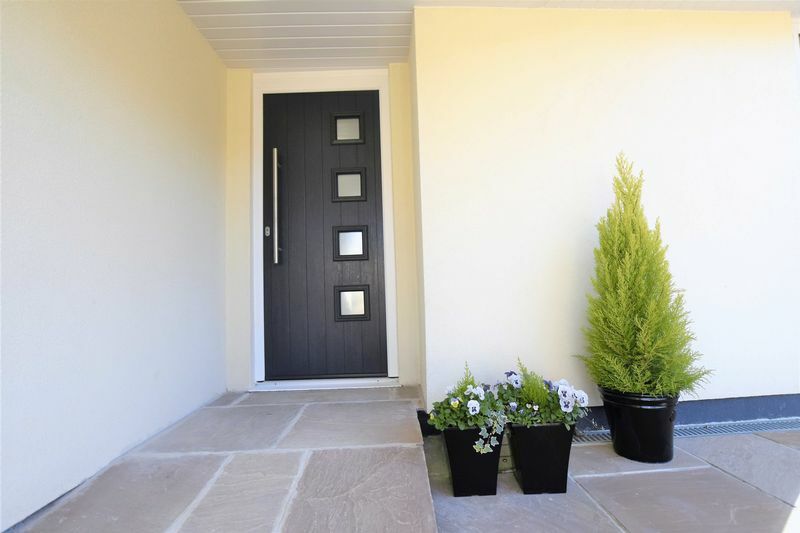 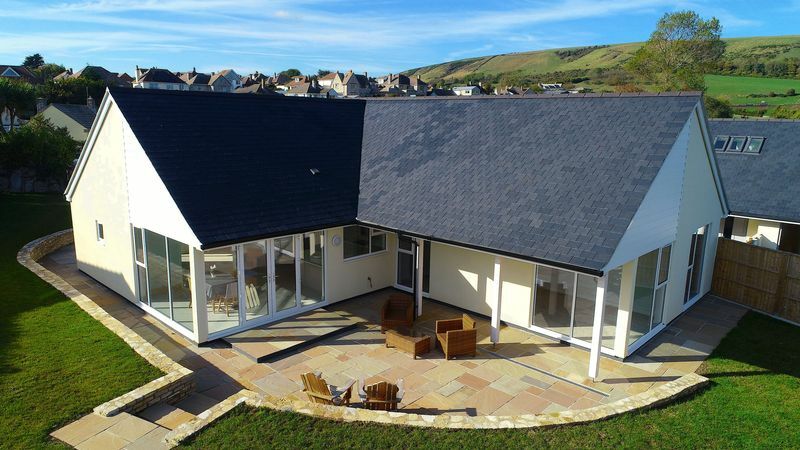 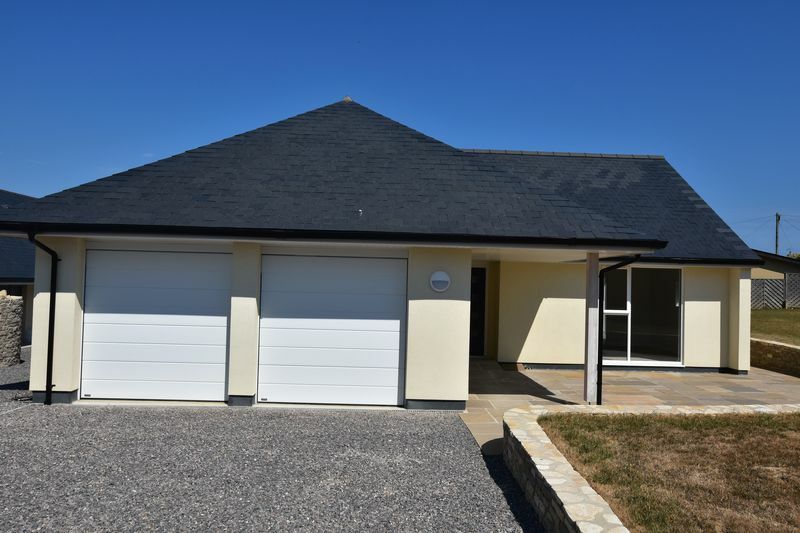 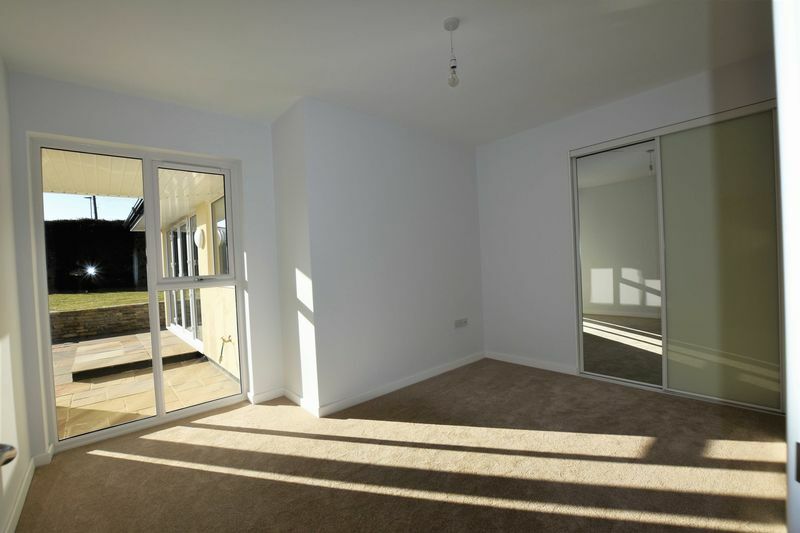 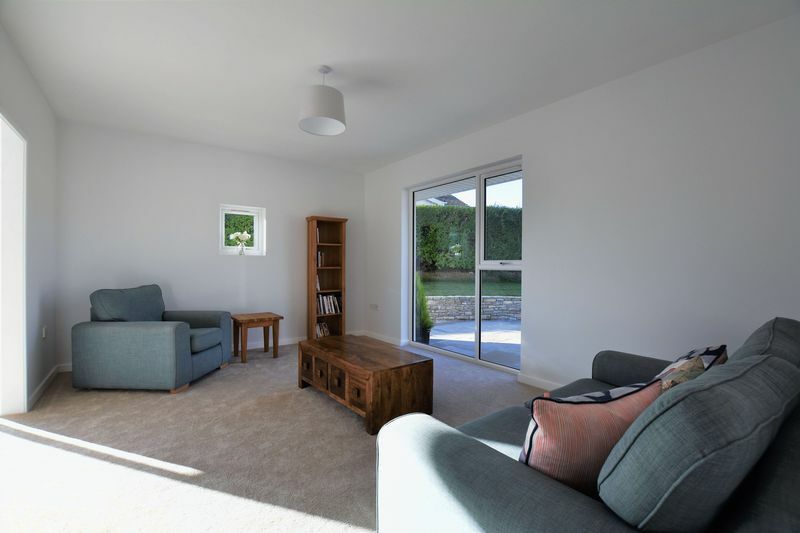 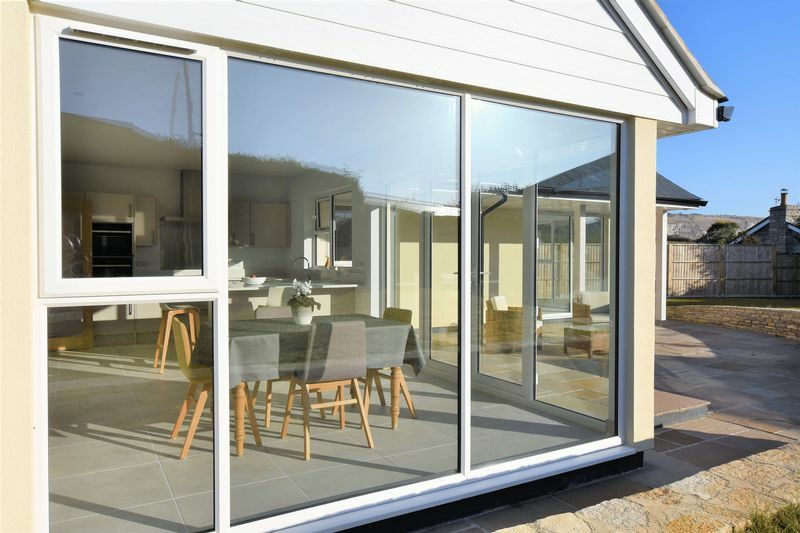 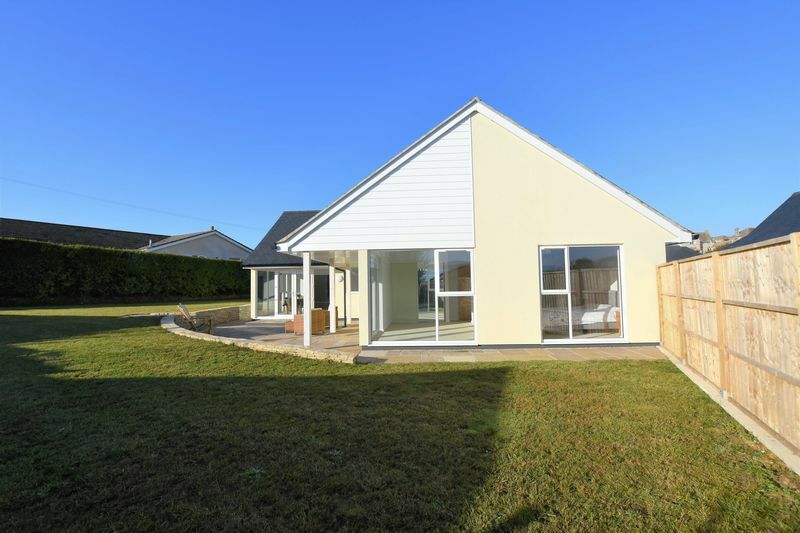 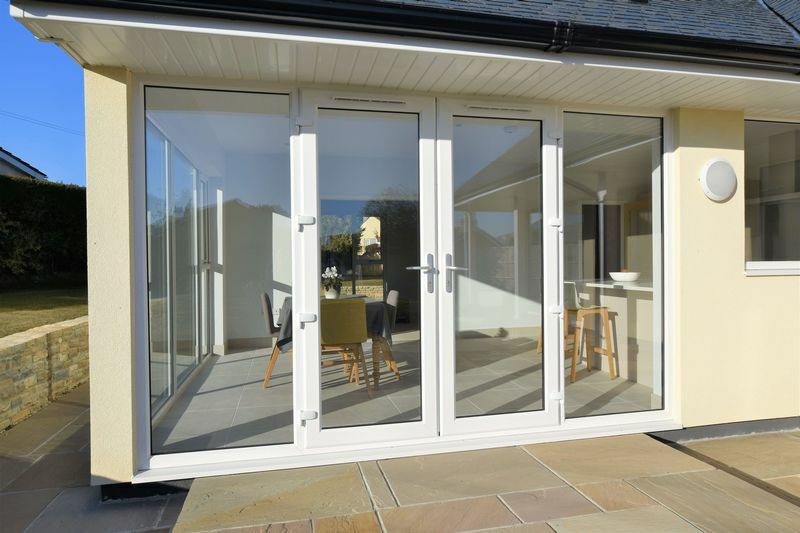 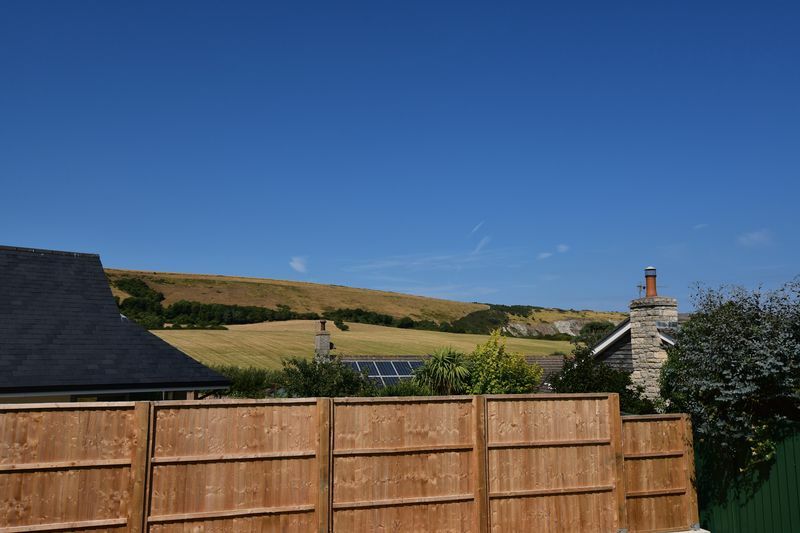 This beautiful bungalow conforms to the very latest energy saving requirements and of course has the benefit of full double glazing together with under floor heating. 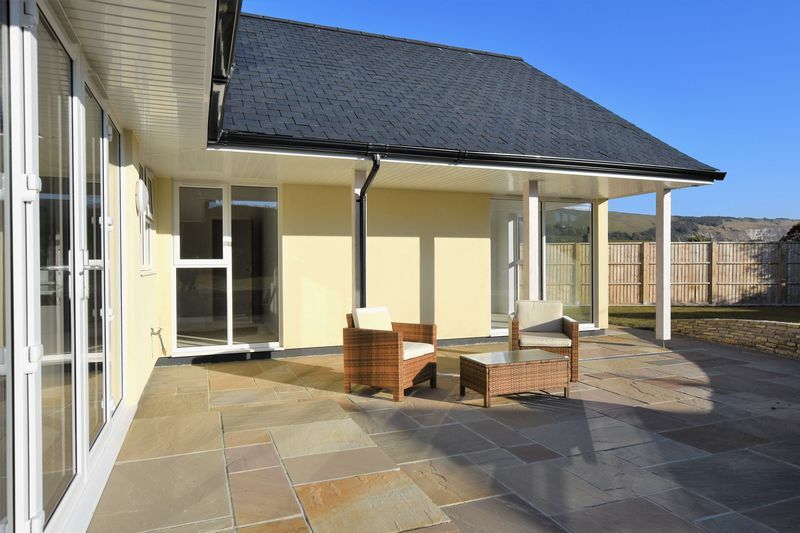 There is a large enclosed Garden together with Purbeck stone retaining wall adjacent to an extensive south facing Terrace. 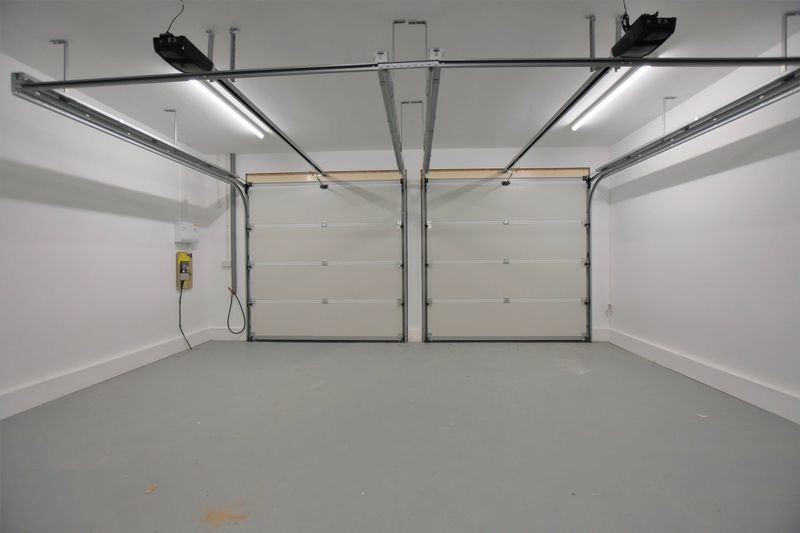 An extensive driveway provides parking for several vehicles and leads to the integral twin Double Garage.